PRESS RELEASE: Trans-Cascadia Announces 2018 Dates! Trans-Cascadia – a five-day all-inclusive backcountry blind enduro race – returns to the Pacific North West from September 26 to October 1, 2018. The race uses existing and reclaimed, mostly primitive, singletrack to allow participants to experience the most incredible wilderness this area of the world has to offer. Accessed by both shuttles and pedalling, racers will tackle a mix of local favourites and lesser – sometimes unknown – gems. 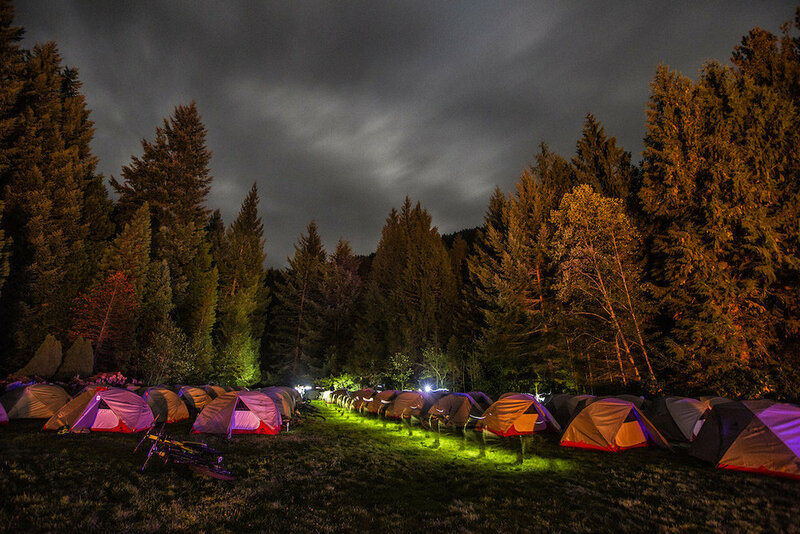 From steep loam tracks to rocky tech and from high mountain ridges and alpine meadows to the shade of old-growth canopies, as racers drift off to sleep in their tents each night they will be dreaming of what tomorrow will bring. Registration will open on February 1, 2018 at 9am PST. Out of respect for the pristine environment that hosts the event, only 100 spots are available. This race has sold out every year since it began three years ago, so don’t miss out! Browse the website for more details on how to register. Each participant will be provided with their own solo tent and sleeping pad – set up for them at each basecamp, a reusable camp plate, utensils, and cup to lessen the impact on the environment, and more – new for 2018 – swag! Gourmet breakfast, lunch, and dinner will be provided daily by a hand-selected team of top chefs from Portland – each showcasing their own specialty nightly. 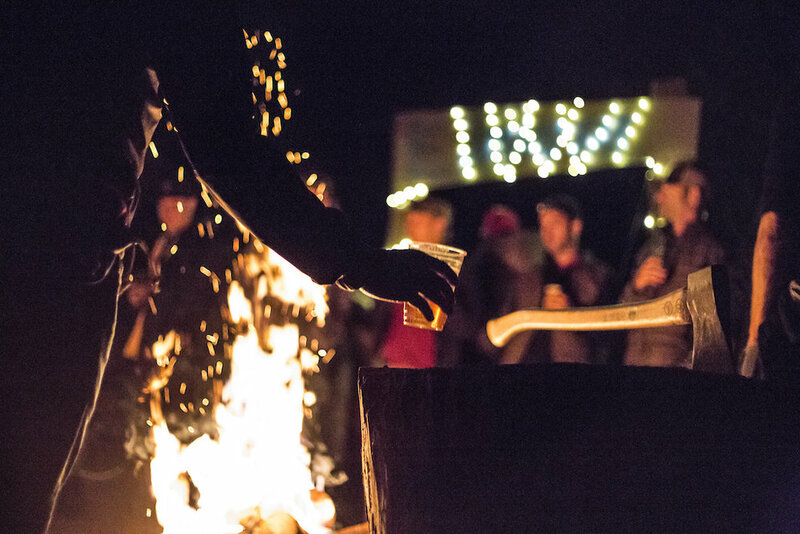 The bar will be open and serving beer and cocktails nightly as racers from around the world socialize around the campfire like long lost friends sharing the highs and often comical lows of the day. And, once again, the men and women’s pro fields will equally share a prize purse of $16,000. "Love! Capital L–O–V–E. It was just pure fun." In honour of their commitment to true blind-racing, race maps and course details are handed out nightly – so there are no opportunities for practice runs or scouting. Organizers also plan to add some new Pacific Northwest locations to the program for 2018 – details to come. This year racers can expect 100 miles over 16 stages – don’t forget, it’s not all descending. Each year the Trans-Cascadia team goes to work uncovering long forgotten or neglected sections of trail that open up access to backcountry riding and link existing trail networks together in the areas they visit. The trails are used in the event, but are also left as a legacy for the locals and visitors to continue enjoying. In order to make this happen the team works both in advocacy and trails building – working with local authorities and builders. Since 2015 the team has opened up 52 miles of trails and contributed over $60,000 dollars and over 6000 labor hours to make it all happen. As a part of this program, in 2016, they introduced the Trans-Cascadia Work Parties. During these 4-day work events – three formal parties held each summer – the team, along with volunteers and sponsors, have gotten together to contribute hard work and long hours to uncovering some of these long-forgotten sections of trail. One example – of many – is the first stage of Day 2 during last year’s event when racers tackled Grasshopper. It was an eight-mile traverse through alpine meadows and along a ridgeline that included 3,907 feet of descending. It took the team two years (In collaboration with some really strong locals and the USFS lead by Kevin Rowell) to uncover trails that had been mostly unused since the 1950’s. Accommodations, food, and good times are included in these weekends – so if you’re interested in receiving more information about participating, sign up here. For more a more detailed account of a Work Party weekend, check this article by Allan Cooke. If you’re looking for more information on the race, please browse the website or check out some of the 2017 race reports listed below. Mark your calendars – it’s going to be a good one!